Puppy Checklist – What do I really need? Looking at the Puppy Checklist can be daunting as there are so many things you need to buy. Do I really need all of this? What can I live without? 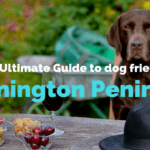 This article will help you to know what to consider before spending thousands of dollars on your puppy. Find a bed that is suitable size for your puppy. Consider how fast your puppy will grow to make sure you don’t need to buy another one after a few months. Pay attention to how you can clean the bed, as it WILL get dirty. Good quality crates can also work as beds, especially during the night as you don’t want your puppy to wonder around the house while not observed. Another benefit of your puppy sleeping in the crate is that dogs don’t relief themselves where they sleep. 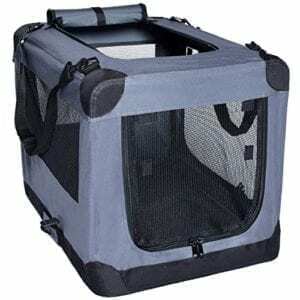 Crates with an open top are good as you can calm your puppy without taking them out of the crate. Your puppy will miss his/her mother and siblings during the first few days. If possible, take your puppy’s future blanket with you when you pick him/her up. Rub the blanket (or soft toy) to the mother. This will leave a familiar scent onto the blanket, which will give comfort to your puppy during the first few days in the new forever home. 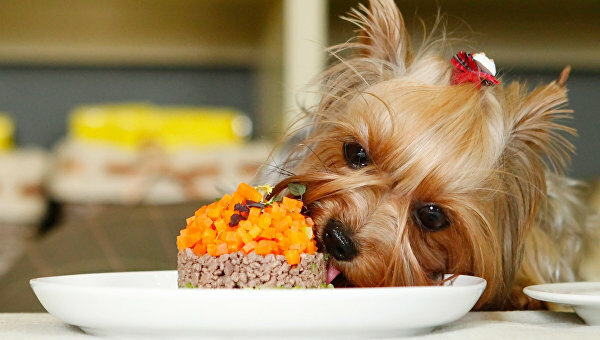 Unlike us humans, dogs love to eat the same food every day. Try not to change their diet during the puppy stage too much. Their stomachs cannot handle many changes yet and therefore diarrhea is a very likely result. Also keep in mind; the way you prepare the food at puppy stage will become the expectation. Heating up meals or pouring hot water on to the dry food might feel a reasonable thing to do for your new family member. Ask yourself whether you are prepared to do this every day for the next 15 years. It is entirely up to you, however your dog does not require that kind of service. Your puppy will be very happy with good quality dog food with high nutrition levels. Stay tuned for our “Food your puppy should not eat” –list for the items you have to avoid giving your puppy. This includes items such as nuts, onions, apples and chocolate. You naturally need some bowls for your puppy. Two bowls will do. One for food and another one for water is all you need. Think about the size of bowls you will need in 6 -12 months time. Too small and you will buy them again very soon. Too big and your puppy will take a swim in the water bowl. What about the treats? Shops are full of treats for puppies. Be aware about the artificial ingredients, salt and sugar. 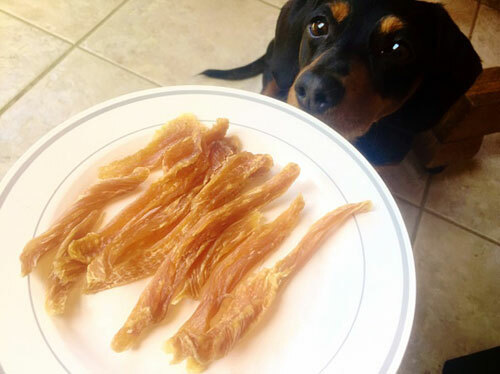 It is safer and better to stick to natural treats such as poached chicken, ham or dried liver. Do not buy rawhides (at least watch the following video first https://www.youtube.com/watch?v=Oc265q0ZRss) or any high sugar, salt or fat content treats. Normally the cheap ones on your local supermarket shelf contain high levels of sugar and salt. If you want to be 100% sure, you can make the treats yourself. It is surprising how easy some of them are to make. Check out our “DIY Toys and Treats” blog. In a meanwhile, you can connect with other puppy owners on Pupsy to ask and share experiences. 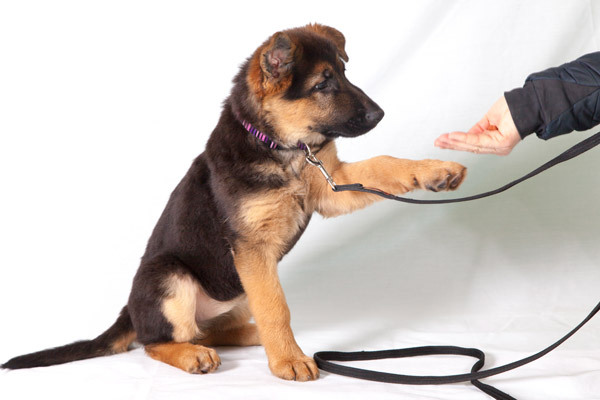 Before your puppy has learned the correct etiquette of walking with you, pulling is inevitable. Pulling can hurt your puppy’s neck if wearing the wrong type of collar. A harness where you can attach the lead also on the front will be your best option. 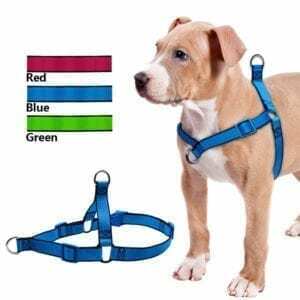 Every time your puppy is pulling, the harness will move your puppy sideways and pulling becomes impossible. A harness is also required for your puppy’s seat belt . The seat belt attaches to the harness as opposed to a collar so your pup does not get strangled in an accident. Probably the most offended rule by dog owners is to not pick after their dog. Get into the habit from day one and always carry a sufficient number of poo bags with you. Your puppy might surprise you with 2-3 toilet breaks in a single walk, so be prepared. Shop around as prices vary a lot between supermarkets, pet shops and online stores. You have to register your puppy at your local council by law. It is a very simple, online process (check your council website for more details). Before you register your pup you have to decide whether your puppy will be de-sexed as the registration fees are higher for non-desexed puppies. We also recommend getting your puppy an ID Tag with your puppy’s name and your phone number in case he/she will go exploring beyond the boundaries. 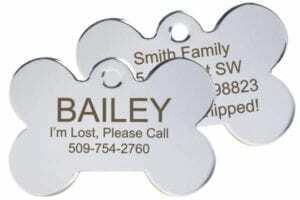 Ask your local locksmiths as they normally carry ID Tags and can engrave them for you in few minutes. 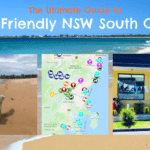 Locate a Vet close to you and read some reviews about their customer service, prices etc. 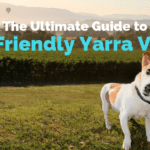 You will need to visit a vet in the first few weeks for an overall health check and vaccinations. Consider medication against ticks, fleas and worms depending on where you live. Your vet will be able to take you through all the essentials. Remember that before your puppy has had all the vaccinations, you should not introduce him/her to other dogs or walk him in areas where other dogs have been. Our blog about “How to socialise my Puppy” is coming soon. Pet insurance is becoming more popular, however only around 5% of all dogs in Australia are insured. If you are considering insuring your puppy, do your homework before signing up. Be absolutely clear what’s covered and what’s excluded and shop around. What happens if your dog gets sick and needs antibiotics? What about accidents with other dogs? Do I get compensation on x-rays and veterinary hospital fees? What if my puppy needs a surgery? What about hip problems on larger breeds when they get older? And what happens to the premium when my dog gets older? Proofing your home for the newcomer is very important. How often have you inspected your home from the level of where your puppy will operate? Go onto your fours and check for cables, sockets, shoes, plants or any loose items that could be tempting to pull. Make sure you get into the habit of closing all drawers and closets and don’t leave your papers, books or clothes around the house. As there are so many toys out there, it is difficult to know what to buy. The secret lies within understanding and observing your puppy’s playing style. Likes to “kill the toys” and investigate what’s in them. Choose toys that are made to be ripped apart or have the option of being pulled. Also, more durable toys, like those made of rubber or canvas, may be better choices. These puppies may not be as interested in stuffed toys. Instead, opt for balls (rubber is better than a tennis ball, which can wear down their teeth! ), rubber Frisbees (easier on the mouth than hard plastic), etc. 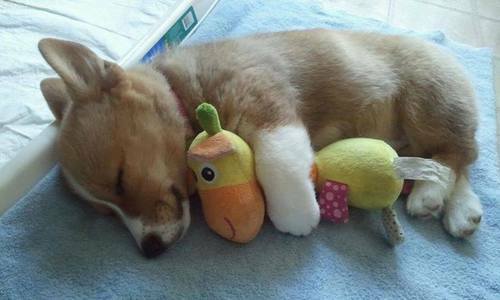 Loves to hug and hold toys in their mouth and even sleeps with them. These puppies will do fine with cute stuffed toys! 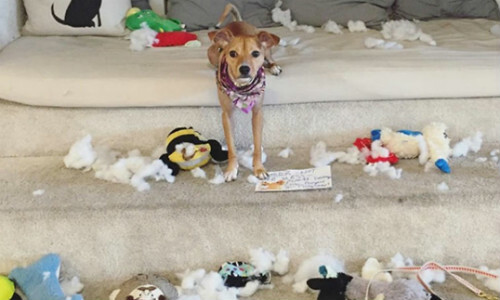 You may want to avoid hard toys, balls, etc., because they won’t be as interested in them. Make sure you avoid anything that cannot withstand chewing. 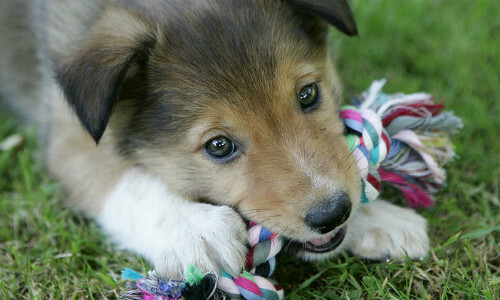 Instead of stuffed animals, opt for rubber or rope toys that are made for chewing. Keep an eye on your puppy as small pieces can be swallowed. If your puppy gets bored with the toys he/she liked earlier, simply put them away and rotate them. After a few weeks an old toy seems like new again. You can save a lot of money by getting creative with toys. You can create toys from egg boxes (just hide some treats inside and close it) or place an empty plastic water bottle in and old sock (bottle makes an interesting sound and sock has your smell). Check out our blog “DIY Toys and Treats” for more inspiration. However, it is very important to remember that toys should never replace the socialisation and playtime with other dogs. 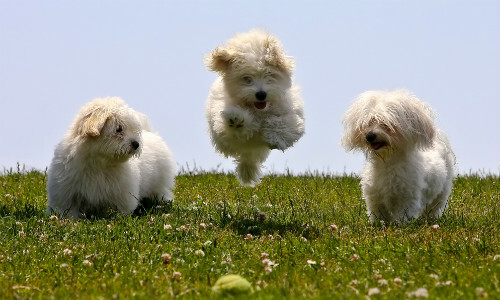 Especially, at puppy stage it is important to find suitable playmates to keep the play safe. You can use Pupsy app to connect and find other puppies in your area for some safe and happy playtime. Training your puppy is critical for many reasons. – You need to be in control of your dog at all times. So what do you need for training? Most importantly, sign up to your local Puppy Pre-School. You can find some excellent puppy trainers on Pupsy here. Professional dog trainers will teach you how to understand, control and train your dog. It is also a great way to socialise with other puppies. It is important for you to continue to train and socialise your puppy after Puppy School. Remember to keep socialisation safe and positive. Many Dog Trainers recommend using Pupsy as a safe way to socialise puppies of similar age and therefore avoiding incidents with adult dogs. See our blog on “Play it Safe” for more tips & tricks. From your point of view, toilet training is likely to be very high on the list. 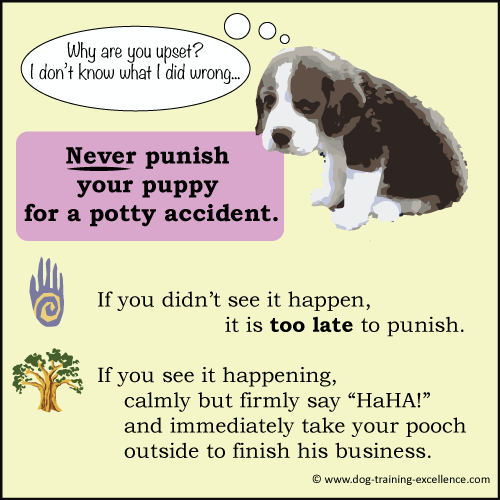 Allow your puppy outside every hour if possible and praise him/her every time he/she goes to the toilet outside. If this is not possible, use wee pads or newspaper and encourage your puppy to use them as toilet. As accidents will happen elsewhere, simply use proper wee cleaners. Dogs wee on spots they recognise from the scent. Wee cleaners remove the scent and your puppy will not choose the same spot again. Bitter apple spray is effective for proactive measures. Spray bitter apple spray to areas or items you don’t want your puppy to be interested in. The strong bitter scent will be unappealing for your puppy and he/she will stay away from items. Depending on the breed, your puppy will need different levels of grooming. 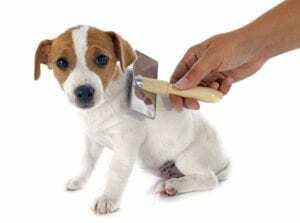 You need a good brush to ensure your puppy doesn’t get matted. You can ask your local groomer for advice. If your puppy gets too matted the only option left for the groomer is to shave him/her completely. Matted fur will also cause a lot of pain for your puppy. You will also need a comb to get down to the skin of your puppy. This is particularly important for shaggier breeds such as poodles and sheep dogs. Dogs pick up a lot of things from the ground, roll in the dirt, get wet and muddy. 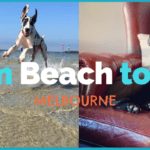 Get your puppy a dog shampoo and rinse him/her everytime after a swim as the salt from the ocean can be very itchy and pool chemicals are not good for the fur. If you want to get your pup professionally groomed, check out our recommendations. Although various dental sticks are good, vets recommend to brush your puppy’s teeth once a week. Get your puppy a dog toothbrush and toothpaste. It is significantly cheaper than the potential dentist bill that might be heading your way, as your puppy gets older. Start brushing your puppy’s teeth from a young age so he/she gets used to it. This will save you a lot of wrestling later on. Shop around for all puppy supplies you decide to buy as prices and quality varies a lot. Join the growing Pupsy community at https://pupsy.com.au and connect with other dog owners and dog services. It is a great opportunity to ask for advice, share experiences and of course get together for a happy play, every day.